Fleetwood Mac News: Stevie Nicks on the cover of April's Rolling Stone Australia "Tell All Interview"
Stevie Nicks on the cover of April's Rolling Stone Australia "Tell All Interview"
Stevie is featured on the April, 2015 issue of Rolling Stone Australia which is in stores today. 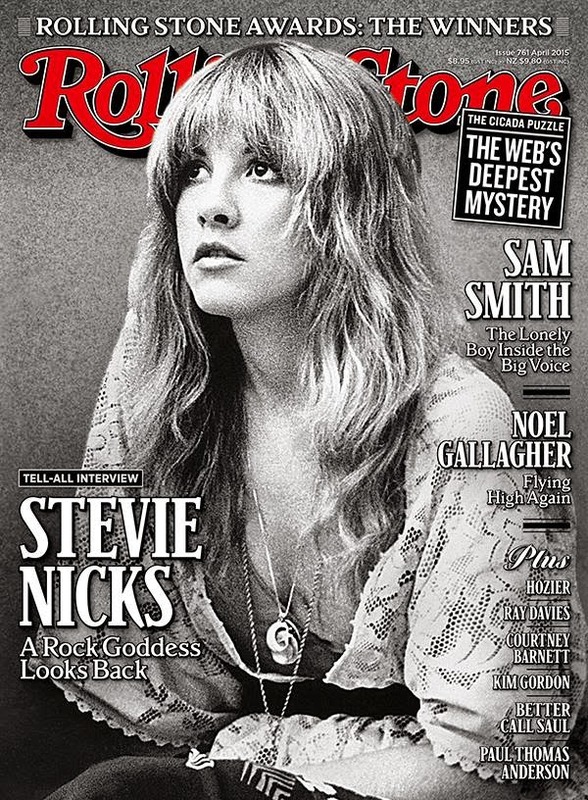 It is the same piece that was featured in the January, 2015 U.S. version of Rolling Stone with Stevie on the cover. The cover pic from the U.S. version appears on the inside this issue. You can bet this means the band will be announcing their Australian tour sometime around the release of this article. Interesting that RS Australia decided to use an old photo instead of the one used for the US edition. I would tend to agree with the first person that a tour announcement for Australia/New Zealand is imminent. Would make sense to coincide it with the release of the article there.